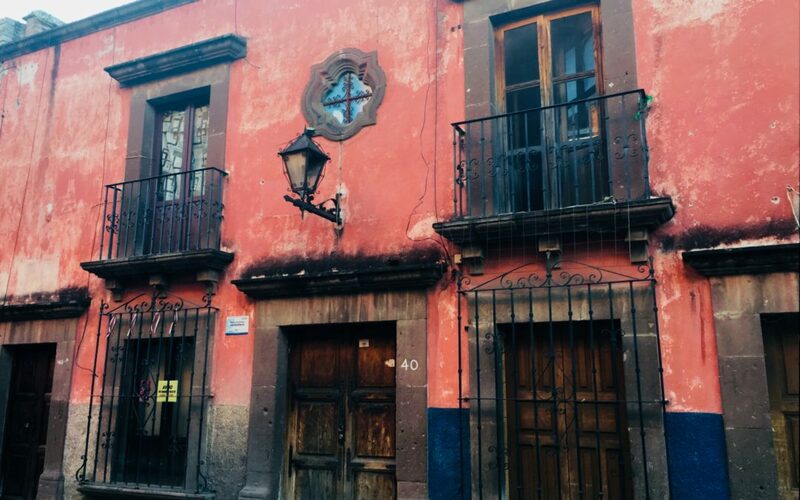 One of the common questions that seems to come up is about banking while living in Mexico. So far we’ve done perfectly well with only our US financial accounts. Some of our friends here have Mexican bank accounts and credit cards. But for us, it hasn’t been an issue only having US bank accounts. I have a few different US bank accounts. Chase is my primary bank. I also have a few additional accounts, which I can use as backups, or ones that I opened solely to receive bank bonuses. As Chase is my primary bank, most everything flows into there. My paychecks are direct-deposited into there, and that’s the account I use for paying credit cards and similar bills. I have an account with Schwab, and this is the account I use for ATM withdrawals in Mexico. The account type I have with Schwab is the High Yield Investor Checking Account, and it’s awesome. It’s actually linked to a Schwab One brokerage account, so you’ll actually get a Checking Account and a brokerage account. For years, I just let the brokerage account sit idle – you don’t have to use the brokerage account at all. Although I’ve recently started investing into some Schwab ETFs, but that’s a story for another day. That last two points – No Foreign Transaction Fees and Unlimited ATM fee rebates – is killer. That means that not only does Schwab not charge me any ATM fees, but they also reimburse the fees that other banks charge. At the end of every month, I get a refund of any ATM fees that I paid. To limit my exposure to fraud or a hacked card, I only keep a small amount of $ in my Schwab account. I’ll do an online transfer of $ from Chase to Schwab. This takes a few days to be credited into the Schwab account, and then I withdraw money from my Schwab account using ATMs in Mexico. In case my card is stolen or hacked, there’s never much $ in that account, so I’m not worried about a large financial loss. A common question when discussing foreign ATMs is – What about the currency conversion rate? I track my ATM withdrawals, and compare the rate that I receive with the daily rate. I track this in a Google spreadsheet, and I use the Google Finance API to get the end of day rate. Of course, rates vary throughout the day, so there will always be a slight variation, but it’s all close enough for my calculations. Here’s my spreadsheet showing my ATM withdrawals for June of 2018. Each time I go to the ATM, I withdraw just under $1000 USD, which is my daily ATM withdrawal limit from Schwab. The CI Banco ATM charges a total fee of $17.40 MXN ($15.00 + $2.40), which is about $0.84 USD. Looking at the rate I’m getting, versus what Google tells me is the daily closing rate, it’s pretty darn close. Some days the rate I get is less, some days it’s a little more. Again, rates vary during the day and across institutions. At the end of the month, Schwab rebates me the ATM fees. By my calculations, CI Banco charged me $2.51 USD for ATM fees in June, and Schwab reimbursed me $2.52. 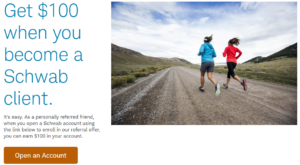 If you sign up for a Schwab using this link, you’ll get a $100 sign up bonus (with a $1000 initial deposit). This isn’t an affiliate link for me – I don’t receive any bonus or kick-back here – I’m just a huge fan of Schwab and this account. You might have noticed that all of my ATM withdrawals are at CI Banco, which is here in Puerto Morelos. ATMs here in Mexico often suffer from skimmers and other hacking devices, so it’s important to find a bank that monitors for this. The ATM at CI Banco is closed at night and on Sundays when the branch itself is closed. So there’s less opportunity for hackers to get access to the machine undetected. I’ve been told that the staff at CI Banco does regular inspections of the ATM, which also helps. So far, the CI Banco ATM seems to be the safest in town. 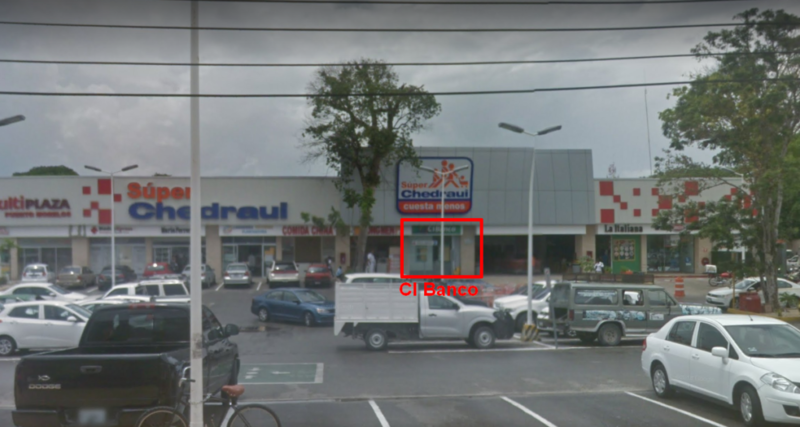 For those of you in Puerto Morelos (or those visiting), the CI Banco is located next to the Chedraui supermarket, on the highway, right where you exit to turn towards the beach side of town. So that’s a brief overview of how we deal with banking here in Mexico. As much as I can, I pay with credit cards, and I use cash for everything else. We do use a lot more cash here than we ever did back in the US. At some point we’ll probably open a Mexican bank account, but we haven’t yet had a need for one. I’m super happy with my Schwab account, the currency conversion rates, the lack of fees, and the rebates of fees from other banks. I’ve also received some questions about credit cards – perhaps I’ll respond to those questions in a future post.